What option will you choose when it comes to storing crypto the safest way possible? Obviously, the best solution is getting yourself a hardware wallet. But which one to choose? Changelly and FuzeWay launched a very special promo dedicated to the companies’ collaboration to simplify the wallet choice for our beloved users. To celebrate Changelly integration into FuzeW, we’re introducing a 53% discount for the FuzeW wallet! Please visit www.fuzeway.com and fill out the discount code FuzeWxChangelly to activate the special price. 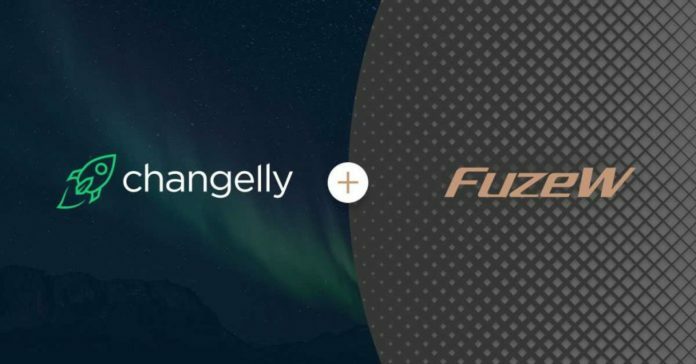 “Being the leader of the cryptocurrency instant exchange niche, Changelly is truly excited to partner with FuzeWay, who proves to be the safest product to store crypto. Through this collaboration, Changelly and FuzeWay expand the wallet’s functional along with uniting companies’ goals – to make the crypto-exchange experience as seamless as possible and to let the crypto community be in total control of their funds and personal data,” – Changelly Head of Bizdev, Anna Rosebrook admits.